MUMBAI: Megastar Amitabh Bachchan has sung another song for his forthcoming film 102 Not Out despite medical procedures. The 75-year-old cine icon posted a photograph of himself singing in a studio. "The world of music knows no boundaries and no rest, despite late hours and medical procedures. (In) 102 Not Out there is an additional song now. I mean how can production push a non-singer to these limits. Badumba," Big B tweeted. This is not the first song Amitabh has lent his voice to Umesh Shukla's directorial. He has also sung the number titled Badumba for it. 102 Not Out also stars veteran actor Rishi Kapoor. Amitabh's character will be seen as a 102-year-old father to 75-year-old character of Rishi Kapoor in the film, directed by Umesh Shukla. Billed as the most unusual father-and-son love story, the film is based on playwright Saumya Joshi's similarly titled well-known Gujarati play. 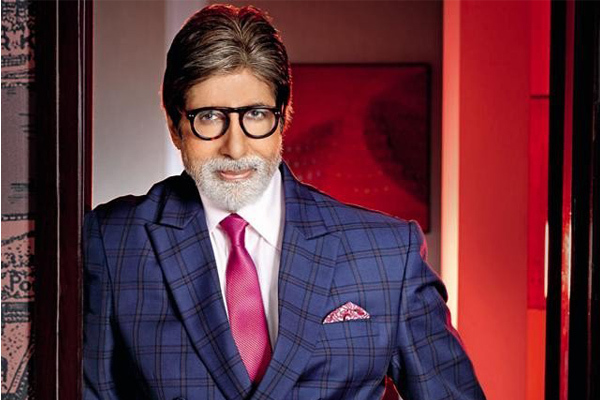 Sa Re Ga Ma Pa Li'l Champ wins Amitabh Bachchan's heart! MUMBAI: The contestants of Sa Re Ga Ma Pa Li’l Champs are grabbing a lot of appreciation from music lovers. And among these tiny tots, Swaransh Tiwari – a five-year-old from Bareilly has won heart of none other than Bollywood megastar Amitabh Bachchan. MUMBAI: Upset over the remixed version of his 1978 song Mungda, Rajesh Roshan says the law is against composers, who have no legal control over their creations.